Why not make your wedding or engagement extra special with the ultimate event backdrop. 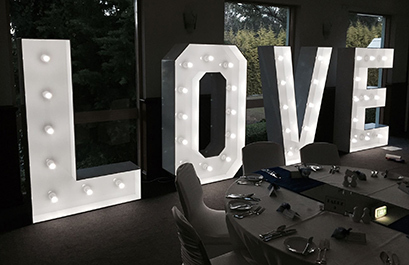 Our “Love” signs are professionally constructed and are sure to add that wow factor on your special day! Great for a photo shoot background. We also offer Photo Booths for hire. Letters are 1.8 metres high and approx 1 metre wide. Save today when bundling with a Photo Booth! Check out our great package deal page at the link below to start saving on your next party hire!.